» Author A. FIELDING: Identity Unknown. Author A. FIELDING: Identity Unknown. Some background information first. Every so often on the Yahoo Golden Age of Detection discussion group, a British mystery writer who wrote a long list of books in the 20s and 30s under the pseudonym of A. Fielding comes up for discussion, the primary question being: Who was she? What was her real name? Note: Many of these books were also published in the US, under sometimes slightly different titles, not noted here. In the US the byline was often A. E. Fielding. 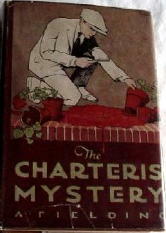 I assume that you have come across the recent identification of the 1920’s/1930s pseudonymous crime writer A. (sometimes A.E.) Fielding as one Lady Dorothy Mary Evelyn Moore (nee Feilding), 1889-1935. I am wondering if it is worth mentioning her in your blog as I feel this incorrect — that the attribution seems to have been done on the basis that she is the only Dorothy Feilding that has been traced. I cannot see any evidence that says she ever wrote a book, let alone a series of 27 crime novels — six of them after she died! What the subscribers to this attribution do not mention is that Lady Dorothy was seriously ill for several years before dying in 1935. Would she have been in a state to write around dozen books in her last five years (not including any notes etc on the supposedly posthumous ones?). I assume that this must be the original source of the identification on a Dorothy Feilding as the author (though no one seems to have checked the address before? ), after the early assumption that it was one Archibald Fielding was dislodged. Now Lady Dorothy is described (in both her Dictionary of National Biography entry and her obituary in The Times) as living in Moorcroft, Tipperary after her marriage where she helped run the estate — and where she died. May I add, that both articles carry no other information on her life after her marriage. However there is a problem with the London Dorothy Feilding. I have checked the electoral roll for Sheffield Terrace for the mid 1930s and there is no Dorothy Feilding listed. Although, interestingly, there are various Dorothy’s (or variations) amongst the women living in the Terrace. Of course, there are possibilities — Feilding was her married name, and was registered, for some reason, under her maiden name which is unknown. To me, a more likely scenario than a dying lady Dorothy writing them in Ireland. Also would a person dying in Ireland disappear to London to write? The other curious bit of information is the date of birth of 1884 which is given in the entry in Twentieth Century Crime and Mystery Writers (1st edition, 1980) — and which Allen Hubin uses. Where did this come from? Though, like Lady Dorothy’s 1889, it would fit ‘a middle-aged Englishwoman’ in the 1930s. Reading the GAD posts, I am wondering if Dorothy Feilding is being considered as a maiden or married name. Okay, Lady Dorothy Feilding is a maiden name, but the lady was well known and easily traceable. But what if Dorothy Feilding was her married name? The chances of finding her on something like Freembd would be slim unless we knew her maiden name. And what if Dorothy was not her first name? What if there was another name first, which she did not like to use (like my late aunt who was Dorothy Nancy, but was always known as Nancy)? After all this, I do not know who “A. Fielding” was. But I am fairly certain that it was not Lady Dorothy. To me, these last two questions alone make it a bit dubious to simply pick on Lady Moore, nee Feilding. Too much unanswered I think. Sadly I think the probable answer might lie in the UK census records for 1921 or 1932 — which will not be available for a while yet. And I wish I could trace the book I read over twenty years ago, the book in which the author talks about a Dorothy Feilding deciding the best pseudonym would be to invert letters in her own name. My peers in the world of crime fiction may have passed sentence on Lady Dorothy being A Fielding, but I reckon an appeal will be lodged. Thanks for the interesting contribution. The whole A. Fielding problem is a minor one, but, as she was one of the Collins authors for some time, it would be nice to get her identity established. Lady Dorothie would be a great catch, but I think, aside from other issues that you and others have pointed out, the death date is reason enough to doubt the possibility of her being the author. Maybe her identity is the great mystery that A. Fielding invented! You imply that there was another ‘Dorothy Feilding’ living in London at the time. If it was ‘Fielding’ I could accept that, but the ‘FEI..’ spelling is very rare and largely confined to the family of the Earls of Denbigh. The idea that some quite unrelated person could have written that many books without it ever having been discovered or revealed that she had the same name as a prominent socialite I find hard to swallow. Moreover, if her married name was Feilding then who was the Feilding she was married to? Even if she wasn’t married at the time of a Census, the Census data should be able to show a male Feilding living around the right place at the right time. Hopefully this or some other hard facts will eventually emerge, but for me the balance of probabilities is still on Lady Dorothy, aided and ultimately supplanted by some other member(s) of her family. Lady Dorothy Moore (nee Feilding) was my Grandmother. There is no record in any family history of her being the author of these books. I do have however about 10 of the A Fielding books which are a good read and it would be nice to say they were her work but alas it’s not the case. Thanks, Richard, for the ultimate in confirmation. Your grandmother has been all been ruled out by most researchers as being the author A. Fielding, but this certainly clinches it! Given the scarcity of the name I wonder whether Richard can confirm if there were any male A Feilding’s in the family during this period, who might have been married to a Dorothy? Another question would be were the 10 Fieldings a recent acquisition or were they ‘in the family’? 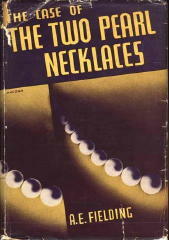 The latter would suggest an author connection was possible as author’s frequently give the spare copies given by publishers to family members. Probably nothing in these lines of enquiry, but process of elimination requires me to ask! Just seen your post of 28.5.12. The 10 novels were a recent purchase by me. Sorry but you will need to draw a line under this avenue.